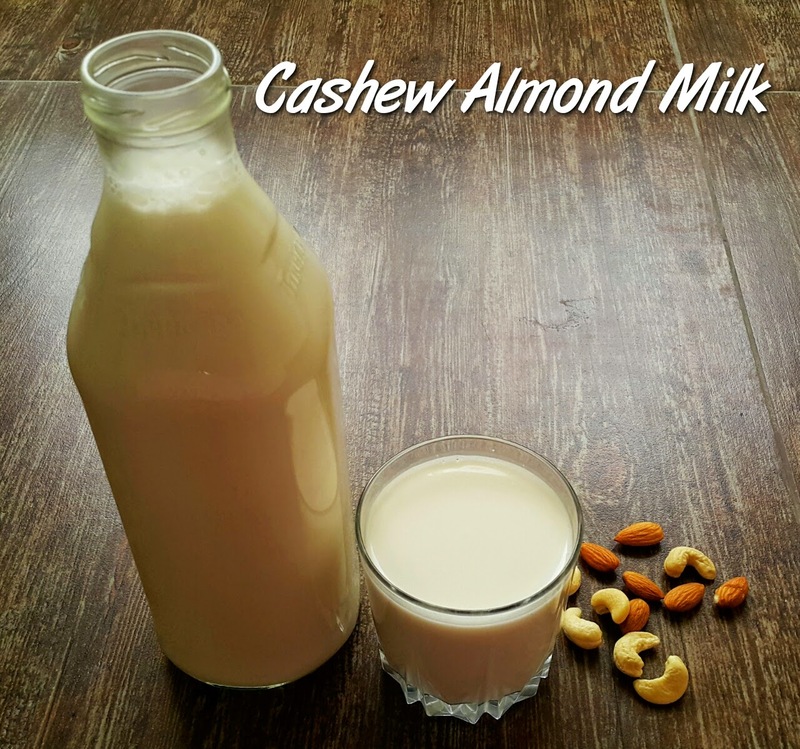 Hello everyone am back with a healthy homemade nut milk again... My trials with different combination of nut milk is going on and here i am with cashew almond milk... the taste of this milk is very creamy as there is cashew in it... i just loved the smoothness of this milk. Hope every one of you will do the same. 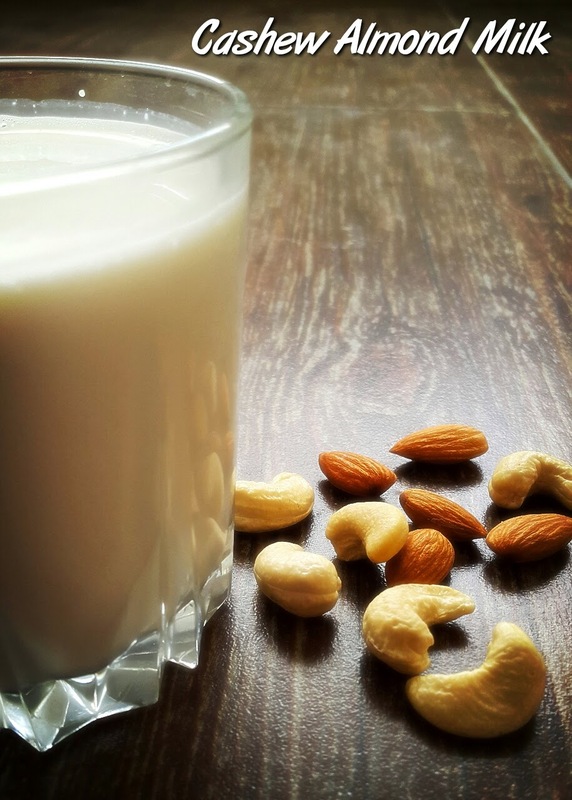 Soak the nuts in water for minimum of 6 hours or overnight, this makes the nuts more softer and get blended more finely. 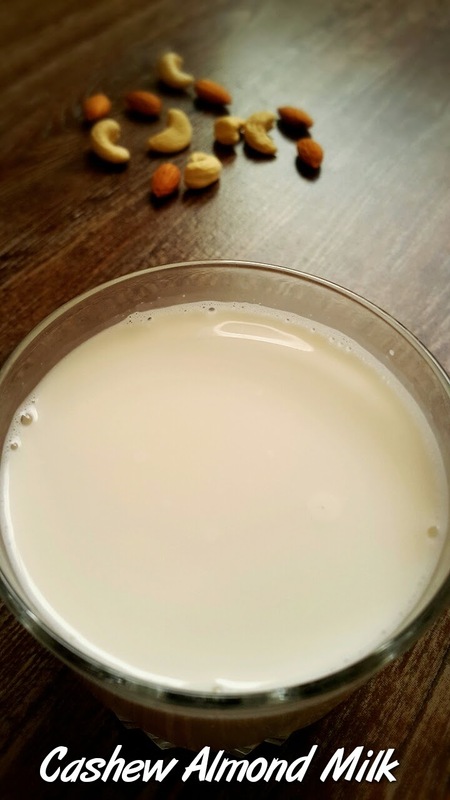 Strain the water from the nuts and add them to the blender with half of the mentioned water and blend in high speed for 2 - 3 mins in your blender, Add more water and blend for another 1 minute. Open the blender and check if the nuts are finely ground, if not run for 1 more minute. Line a cheese cloth or thin cloth over a strainer placed on a bowl. Pour the ground nut mixture in the cloth and add any remaining water and let it sit for half an hour so most of the liquid will be strained. At this stage there will be very little liquid in the mixture so just try to squeeze it out and transfer the milk to any container and store in the fridge.